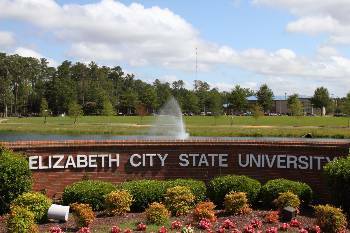 Due to the projected impacts of Hurricane Florence on our region, Elizabeth City State University is cancelling all classes beginning at noon tomorrow, Sept. 11. A voluntary evacuation for students living in the residence halls will begin at that time. All other on-campus university events scheduled from noon Sept. 11 through Sept. 16 are cancelled. Residence halls will close on Wednesday, Sept. 12 at 5 p.m. Students who are unable to leave the residence halls are to report to Vaughan Center on Wednesday, Sept. 12, at 5 p.m. Students will not be allowed to stay in the residence halls once they are closed on Wednesday afternoon. It is encouraged that students who are able to leave should do so well in advance of the inclement weather arriving into our area. Students leaving campus should make their immediate family members aware of their travel plans, including times and routes. Family members are encouraged to contact their students who are currently attending ECSU. For employees, the university will operate under normal conditions on Sept. 11 and 12. On Sept. 13 and 14 the University will operate under Condition 2 of the Adverse Weather Policy. This means, all non-mandatory operations scheduled for Sept. 13 through 16 are suspended. Only essential personnel, as determined by your supervisor, are required to report to work on Sept. 13 and 14. 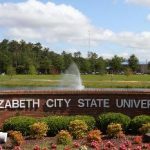 Elizabeth City State University, Winston Salem State University and the City of Rocky Mount have announced that all events for the 21st Down East Football Viking Classic scheduled for September 12 – 15 have been canceled due to Hurricane Florence and its expected significant impact on the Rocky Mount region. “Our priority is focusing our attention on the safety and welfare of the student-athletes, support groups and those that worked hard to bring forth this terrific event. We look forward to returning The Down East Viking Football Classic to Rocky Mount in 2019”, said ECSU’s Director of Athletics, George L. Bright. Please continue to monitor ECSU Webpage, Email, and Social Media for updates and additional information.